If you are like many business owners or managers, price is a decisive factor in deciding who you will trust your roofing project to and what system you will invest in. Investigate the experience of the roofing professionals called to quote your new or replacement roof. You can’t afford to make a potentially costly mistake. The truth is, there are many points to consider when selecting a commercial roofer and the professionals of Langer Roofing provide you the proven track record that has made us the industry standard for Milwaukee and the surrounding area for more than 50 years. 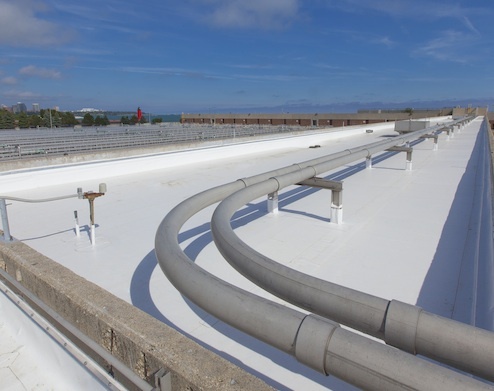 Polyvinyl Chloride (PVC) is a trusted membrane that has been performing admirably for decades in the European and North American commercial roofing markets. 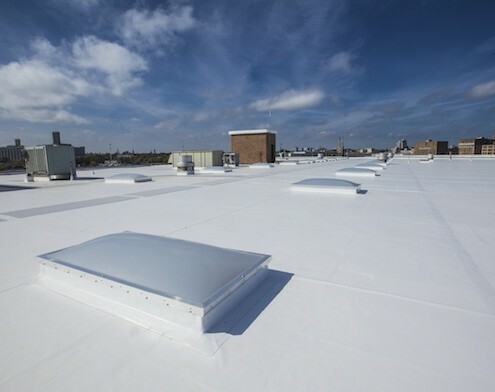 Another option for reflective roofing, PVC membranes are Energy Star qualified, CRRC (Cool Roof Rating Council) certified and offer building owners the potential for decreasing cooling costs. 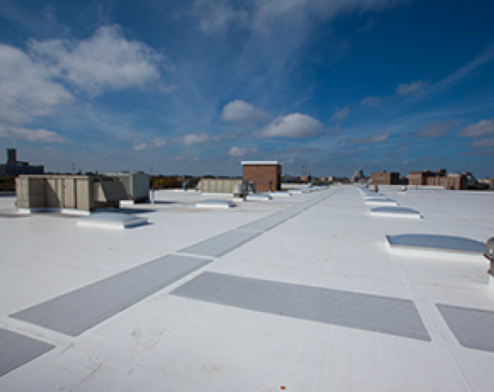 PVC membranes also offer excellent resistance to rooftop chemicals including acids, oils, and greases.